Dr. Thomas Boyce is President and Senior Consultant at the Center for Behavioral Safety, LLC., in San Carlos, California; Faculty Associate and Course Developer for the American Management Association and has been an Adjunct Faculty Member at the University of Nevada-Reno. Dr. Boyce has an M.S. in Psychology as well as a Ph.D. in Psychology; both from the Virginia Polytechnic Institute and State University; an institution approved by the American Psychological Association. In addition, he is a member of the following organizations; the American Psychological Association (APA); the Association for Behavior Analysis International and the Organizational Behavior Management Network. 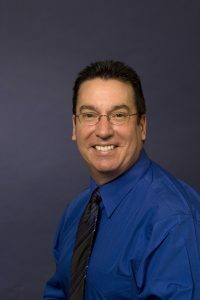 As a prominent author, speaker and specialist in Industrial Organizational Psychology, Dr. Boyce has spent over two decades consulting with businesses and helping organizations solve problems by: inspiring work-related “culture” changes, developing superior curriculum, improving leadership and creating excellence in safety-training. Having written the book, The Psychology of Leadership, he is an expert on how to encourage and foster “Culture Change”. Dr. Boyce works a demanding schedule of 50-70 hours a week, which also includes traveling 50% of his time. While he admits to not having had a “real get-away vacation” in quite a while; he looks forward to a time when his work is local and his travel is for pleasure. For now, he enjoys the times when his family is able to travel with him on his work adventures. With a Bachelor’s in Music Performance (combined with Psychology), Dr. Boyle is also a seasoned musician. His hobbies include music composing, performance and publishing to which he dedicates 10 hours a week; he spends 5 hours a week on personal fitness and volunteers 1-2 per week. If there is such a thing as a “typical day” in your busy life, how would you describe it? TB: There is no typical day. When I’m at the California office, I am usually up between 5:00 and 5:30 a.m. and at work between 6:00 and 6:30 a.m. I break around 10:00 a.m. to go to the gym and have lunch after about a 60–75 minute workout. I am back at the office between 12:30 and 1:00 p.m. and work until between 6:00 and 7:00 p.m. Activities vary each day, but may include in various proportions: analyzing data, writing articles and reports, preparing workshops or other public presentations, interacting with clients by phone and e-mail, business administration and finances, marketing, meetings, visiting with a local client. Each day ends with a review of the day’s major accomplishments and the creating of “to do” list for the following day. When I’m on the road working with a client, I am usually up around 4:00 a.m. checking e-mails, catching up from the day before and finalizing preparation for the day ahead. I am at the hotel gym by 5:30 a.m. for a 30–45 minute workout and then to the client location between 7:30 and 8:00 a.m. A common day starts by meeting with management and supervision, a brief tour of the facility (if it is an industrial site), spontaneous conversations with various personnel in the field and subsequently the primary focus of the visit. The primary focus could include: training, facilitating a meeting, executive coaching, reviewing and interpreting information, or all of the above. I am typically done between 4:00 p.m. and 6:00 p.m. headed back to the hotel or the airport depending on what the next day brings. TB: I grew up in Florida and was inspired by athletes and musicians as a youth and teen. I was an excellent student and good athlete. As I entered high school I traded sports for music and became a “gifted” performing rock musician. My primary instrument was and remains bass guitar. I was involved with Student Government and enrolled into college right out of high school. At that time, the music bug was too strong, so I took a leave of absence from college to perform full-time and study music more formally. I recorded an album, toured with a band and went to a prestigious conservatory of music for two years. This eventually led me back to a more traditional college to finish a degree in music performance. It was at that time that I discovered psychology. I became interested in psychology mostly to understand my own behavior, the behavior of others with whom I was in contact, and better organize the world around me. I was the first student at the University of Florida to complete a dual major with majors in two different colleges: “Fine Arts” and “Arts and Science”. I supported myself through school playing music on weekends and later chose to pursue psychology in graduate school after a class in the Experimental Analysis of Behavior and work in an EAB lab “hooked me”. I knew I wanted to make a difference on a “large scale” so I selected a graduate program in psychology in which there was an APA-accredited psychology program that emphasized applications in business, community, and health. I combined my personal interest in health and business and concentrated my focus on large scale applications of psychology to prevent occupational injuries. I continued to perform as a musician and upon graduating remained in academia as a full-time professor of Psychology for several years at a major University. It was at this time I started my own consulting business, pioneering the application of “Behavior-Based Safety” in the mining industry. What an interesting mixture of talents and intelligence! Was the academic road a tough one to adjust to, after being a musician? In other words, what were your greatest challenges regarding college? TB: Graduate school was challenging in that it was more than a full-time job. The reading load alone during the first year was about 1200 pages per week. After the Master’s degree, self-study and self-discipline were required for success. The oral defense of the qualifying exam and doctoral dissertation were perhaps the most stressful and at the same time the most rewarding. You will never know as much “pure” psychology as when you first receive your Ph.D.
TB: You have to know the foundation of what you teach, how to adapt it for application in various settings, and be confident doing so. You have to be a great teacher with a desire to help others to understand. You have to accept that it is your responsibility to find the best way to reach people; sometimes this requires adapting the language you use or examples you share to illustrate key concepts. You have to care. You have wear many hats and be comfortable doing so. You have to understand that resistance does not mean refusal. It helps if you enjoy travelling, are comfortable public speaking, and are good at entertaining others. Listening is also key. On a scale from 1-10 how hard was it to get where you are now? Was it worth the journey? TB: If 10 is hardest, I would say 7 overall. Graduate school was probably a 9 (if you do it right). Everything I’ve done has been worth the journey. What one thing would you like to see changed in your field? TB: I would like to see a more collaborative environment between vendors that offer similar services which I believe would lead to less “pilfering of ideas.” I would like everyone to be more honest about their credentials. Psychology is a term that seems to be thrown around pretty loosely by those that don’t have the proper training. Having a Bachelor’s Degree in Psychology does not quality one to do this work, much less having taken an undergraduate psychology course or having read a lot of self-help or business books. Psychology is a powerful tool. In the wrong hands it can do more harm than good. Consumers need to be made aware of this. Most definitely; consumers need to be aware of credentialing because psychology is a powerful tool. On a personal note, what do you hope to have accomplished by the end of your career? TB: I hope that I will not only be remembered for having made a valuable difference in the lives of those with whom I’ve directly worked, but also for having transformed how entire industries do business. Learn more about an online industrial organizational degree. Dr. Boyce, what advice would you give someone who wanted to follow in your footsteps? TB: Get started now. Find a graduate school mentor who is doing the work you are passionate about. Study hard and focus on the learning process, not the degree. On occasions, stop and take a look around. Time passes so quickly. Thank you Dr. Boyce for this personal interview and for all the good work you do to help organizations and individuals!